Whatever aspects of the Hallmarks of Cancer your research is focused on, our workflow can enable your discovery journey. The Single Cell Gene Expression solution from 10X Genomics can be used unmask tumour heterogeneity and help unravel the tumour microenvironment. The Single Cell Immune Profiling solution from 10X Genomics can be used to map the immune repertoire including V(D)J assembly in TCR and BCR transcripts. 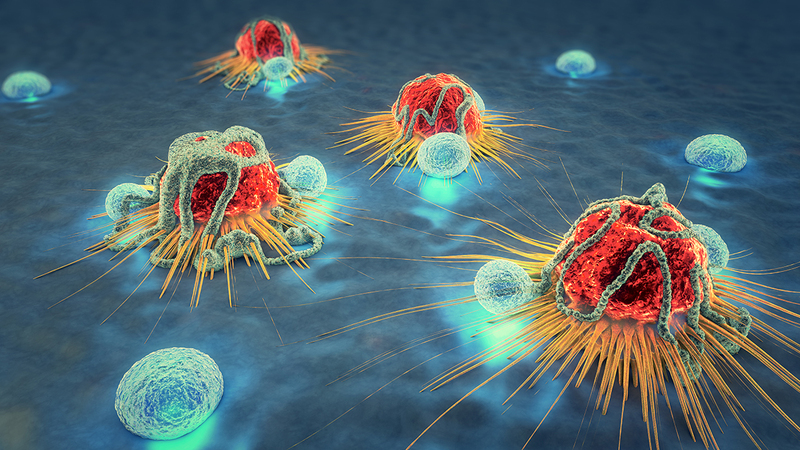 This can be overlayed with gene expression at a single cell resolution to understand the immune response to cancer and novel immunotherapies. The Single Cell DNA Solution from 10X Genomics allows you to identify Copy Number Variations at a single cell level and SNV’s at a cell clustering level. The Linked Reads Solution from 10X Genomics allows you to identify somatic variations by accurately detecting and resolving ambiguous variants whilst providing phasing and haplotyping information.